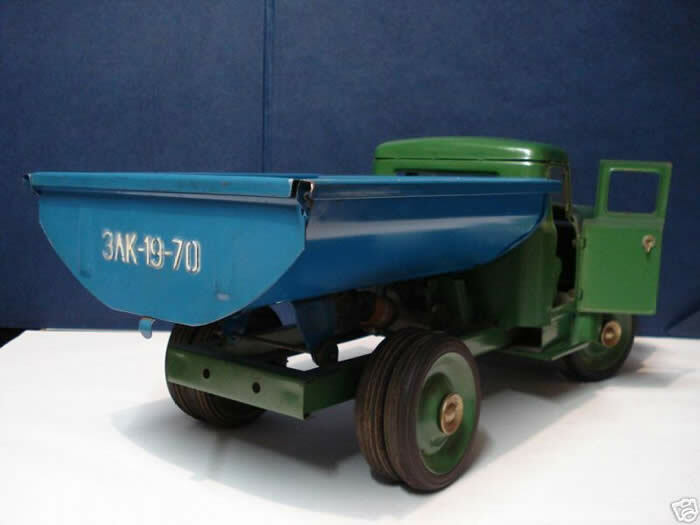 The range of the Soviet large scale pressed steel vehicles were produced from the early 1960’s through until the mid 1990’s. 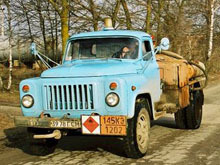 As far as I know there were only two different models, designed to the (still) existing Russian trucks as you can see on the photo's below , I took in Belarus, October 2007. In Brest I visited several super markets and department shops, searching for these trucks. Just like in our countries, all toys were made of plastic. I met several guys from Russia, who are going to check if these toys are for sale in the (former)Soviet Union. 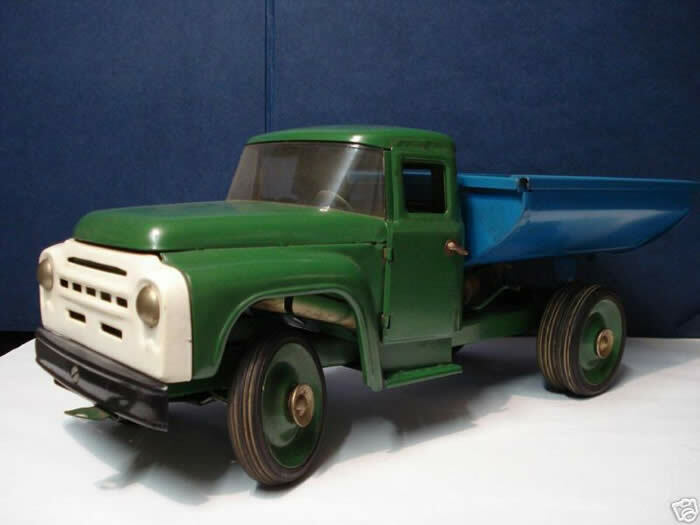 This massive 1969 blue-green camocean truck has its registration on the back. Like the Tri-ang Road star it has a kind of hydraulic system to lift the tipper. 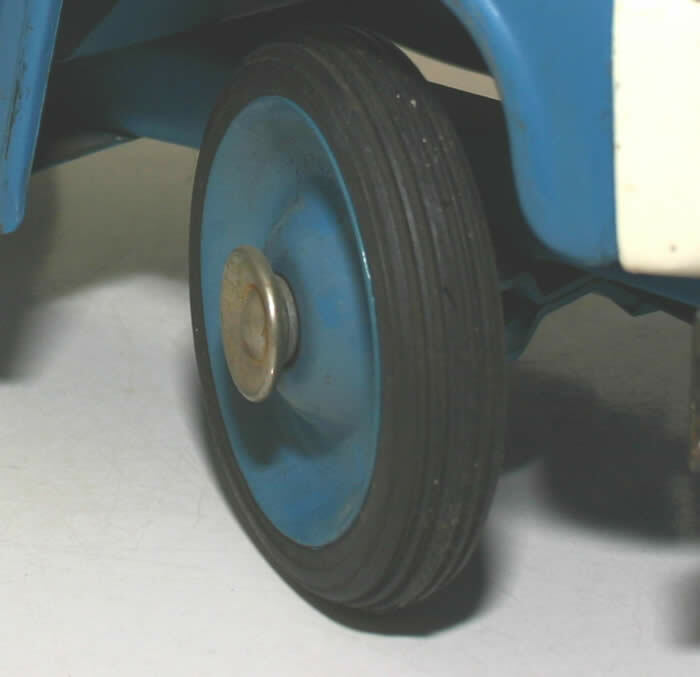 The early Camocean, like this1970 one ,had disc wheels with rubber tyres . 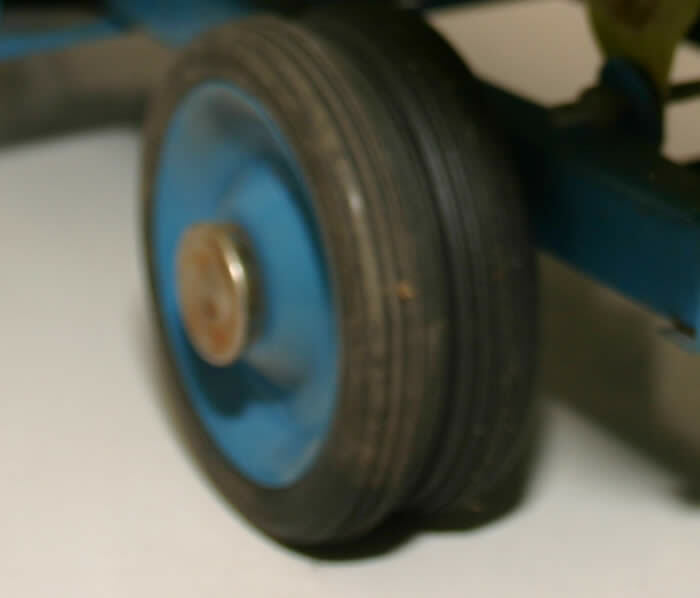 Later models had solid plastic wheels. On the tailboard of each Cameocean you can read the production year. 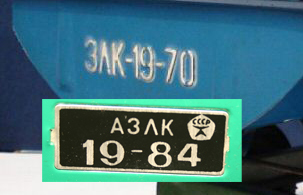 I presume that trucks with a black number plate were meant for the local Soviet market. 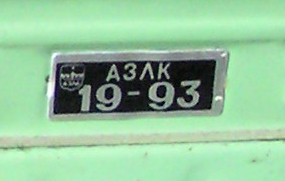 For export they punched the production year into the tailboard. The tipper was made for quite a long time. 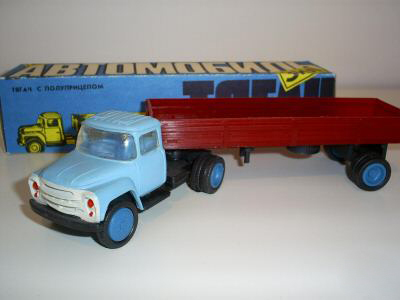 In every box there was an instruction sheet how to play with this truck. As said, in the late 60 ties , this camocean came up. Later on they modified the truck to a more new fashioned type with a white painted grill and red painted headlights. There was a truck with and one without a tipping mechanisme. 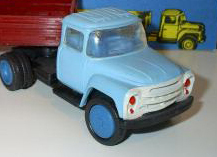 The second Camocean model was a truck with trailer. In Germany it had Sinalco (lemonade) transfers on it. 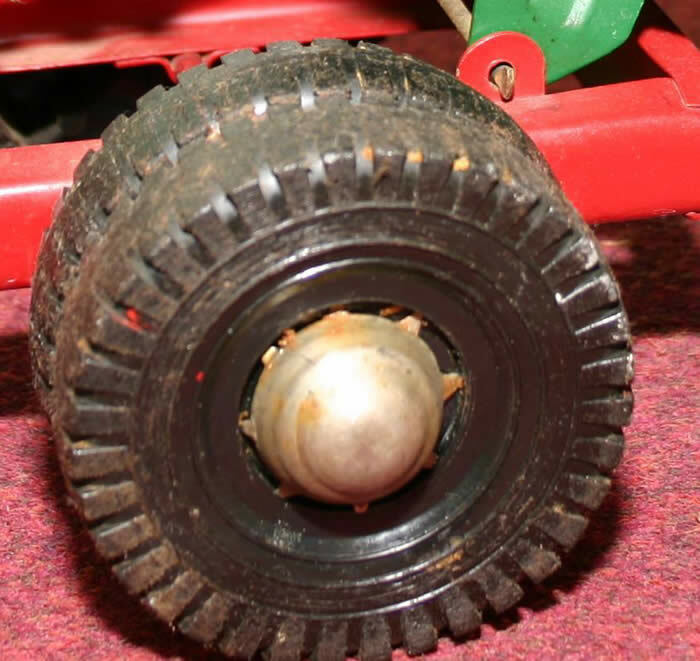 The wheels are plastic. 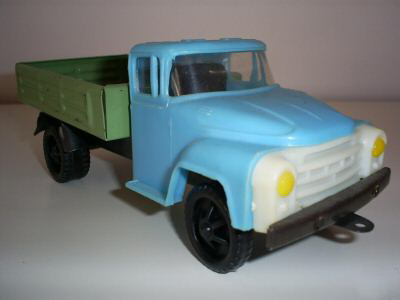 These trucks are not very collectable and have ,like the most of these Soviets ,a low value. The regular colour of this combination is a red truck and a green trailer. 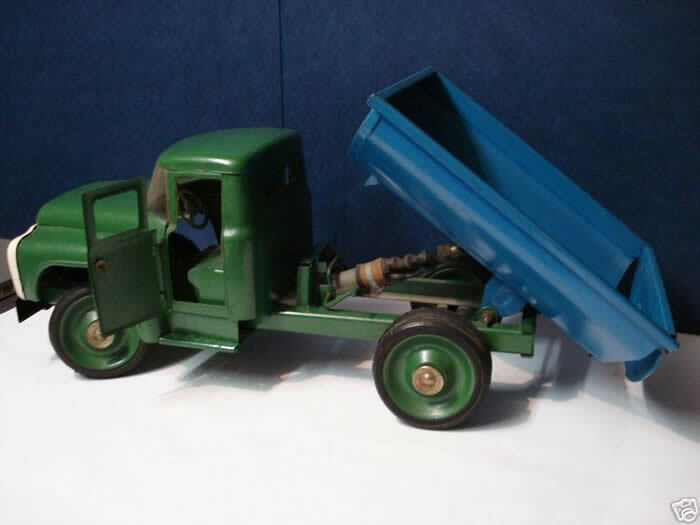 We didn't know there were other coloured trucks until the blue- green combination appears on a Dutch web site. It is a nice impressive combination. The Camoean was also sold in Belgium. We received these photos from a Belgium Camocean collector. pictures of a GAZ 52 - 04 in Cuba.